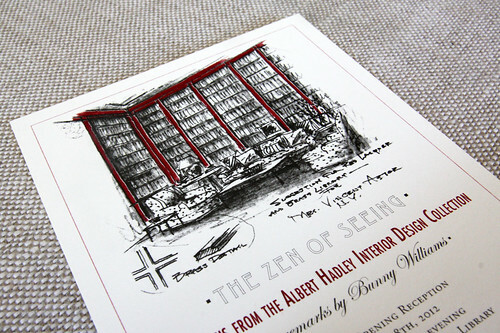 Last year we got the chance to work on a library invitation in Nashville featuring work from Albert Hadley (a Tennessean). I actually wasn't familiar with his interior design work, but once I delved in I was in awe. 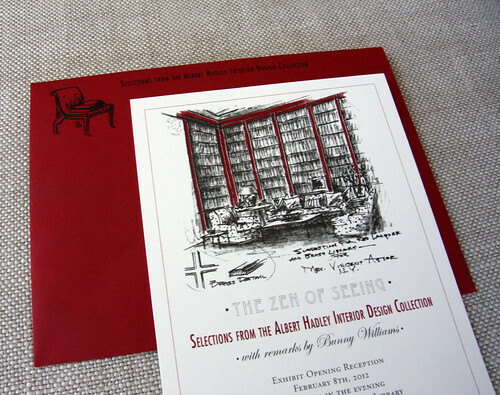 He designed this knock out red-lacquer library for Brooke Astor that became pretty infamous. He was full of personality and loved pattern & color. Anyway, I went back to the invitation after I saw this write up on Interior Canvas (a very cool blog about all things interior design in Nashville). The Antiques & Garden show is doing a tribute to Albert Hadley this year. Looks like a great show - very colorful, just like the Mr. Hadley.